For comfy t-shirts and lightweight base layers, take a look at our current range of women’s tops and t- shirts. 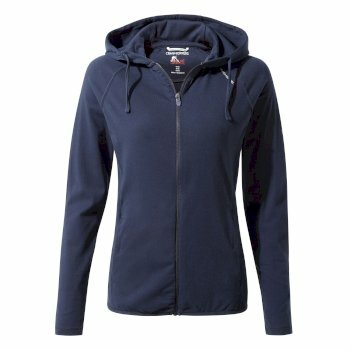 With basic women’s t-shirts offering comfort and style this season, you’ll find a wide selection of women’s base layers and comfortable hooded tops at Craghoppers, all available in a variety of vibrant colours. 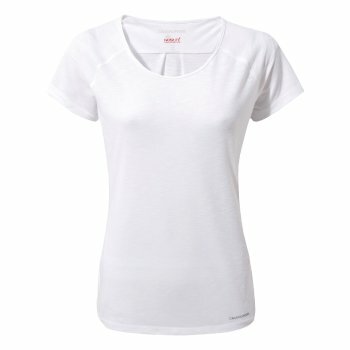 Browse our complete range of women’s cotton t-shirts and base layers below. When it comes to basic cotton t-shirts for women, we’ve got you covered. Take a look at our basic tees for a soft, lightweight layer that will keep you cool whether you’re taking a walk or picking up the speed on your evening run. Looking for something a little different? 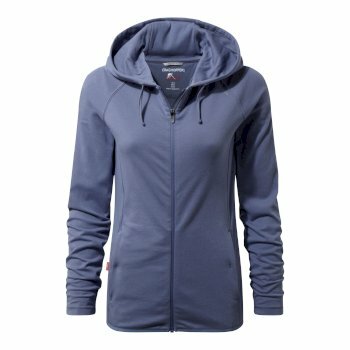 How about one of our two-layer women’s tops - a slubby outer tee with a stretchy inner layer designed with moisture wicking technology. This innovative moisture control fabric draws sweat away from the skin, leaving you cool and comfortable when you’re on the move. 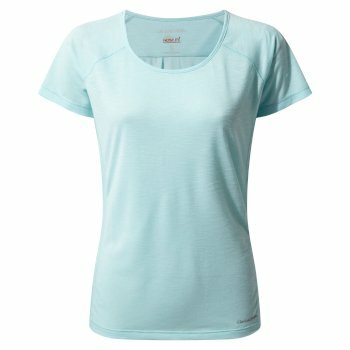 Our moisture wicking t-shirts for women will give you all the comfort you need when you hit the trail. 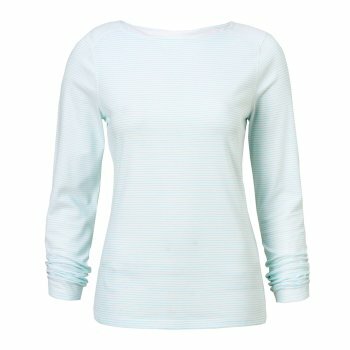 Alternatively, if you’re heading out to the beach and need some extra coverage, take a look at our lightweight long sleeved tops for women. With a relaxed fit and a cotton and linen fabric construction, it will keep you cool as midday hits. 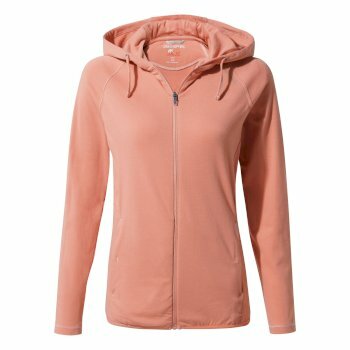 Team your base layer with one of our casual hooded tops for women. A lightweight hooded top is ideal when you’re travelling to a hotter climate but need some lightweight coverage in the evening. Choose from our range of NosiLife hoodies for women and you’ll get full protection from pesky biting insects as the sun goes down. We’ve developed this innovative fabric construction with insect shield protection that’s guaranteed to offer up to 90% protection from mosquitoes and other biting insects. 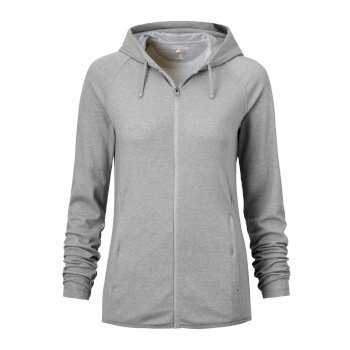 Explore our range of casual women’s tops, tees and hoodies – simply scroll up to view.